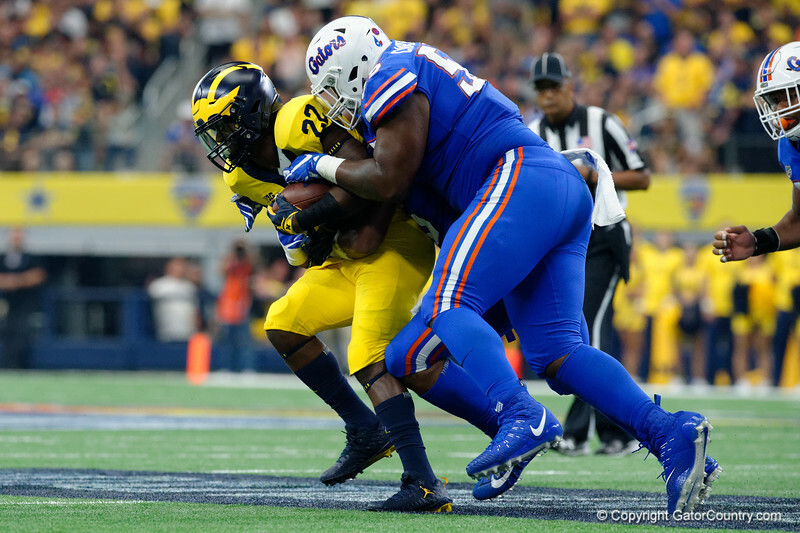 University of Florida Gators defensive lineman Kyree Campbell tackling Michigan running back Karan Higdon during the first half of the 2017 Advocare Classic at AT&T Stadium in Dallas, Texas as the Florida Gators take on the Michigan Wolverines. September 2nd, 2017. Gator Country photo by David Bowie.